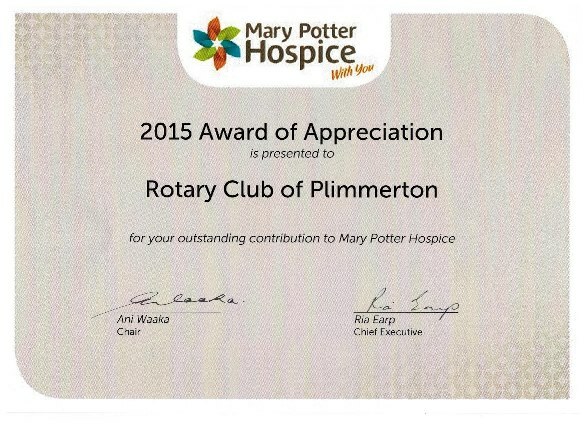 At the 2015 Annual General Meeting of Mary Potter Hospice the Patron Lady Susan Satyanand and the Chief Executive Ria Earp presented an award to Chris Garrett representing the Rotary Club of Plimmerton in recognition of its support over the years. Original generation time 1.2547 seconds. Cache Loaded in: 0.0329 seconds.